Hello, Summer! There's another Sale! 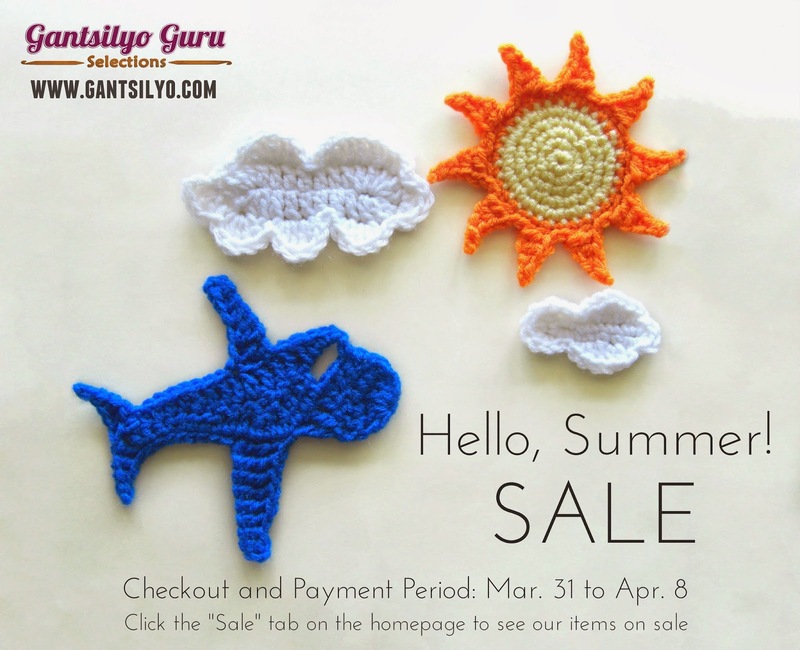 Another sale at my online store, Gantsilyo Guru Selections! To avail of the discounted prices, customers must checkout and pay their orders within the period of Mar. 31 - Apr. 8, 2014. Sale items unpaid beyond Apr. 8 will be charged with regular prices already. While I'm out, from Apr. 2-7, customers can still expect to get their final deposit amounts via email. Orders paid on or before Apr. 1 (Tue) will still be shipped out before I leave. Shipping out of orders will resume on Apr. 8 (Tue). 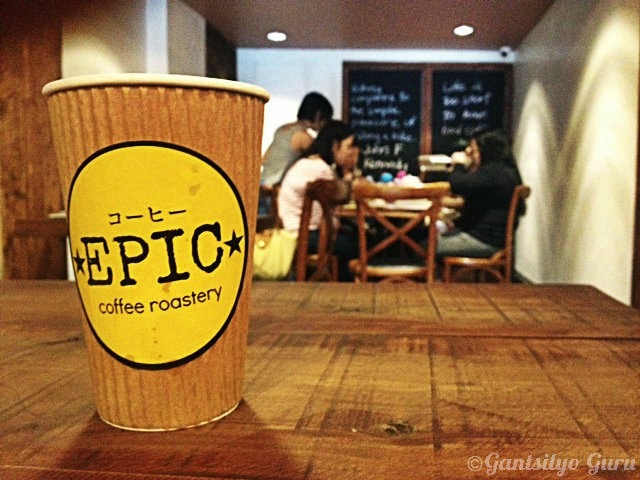 I had my very first workshop at Epic Coffee Roastery in Kapitolyo last March 16. 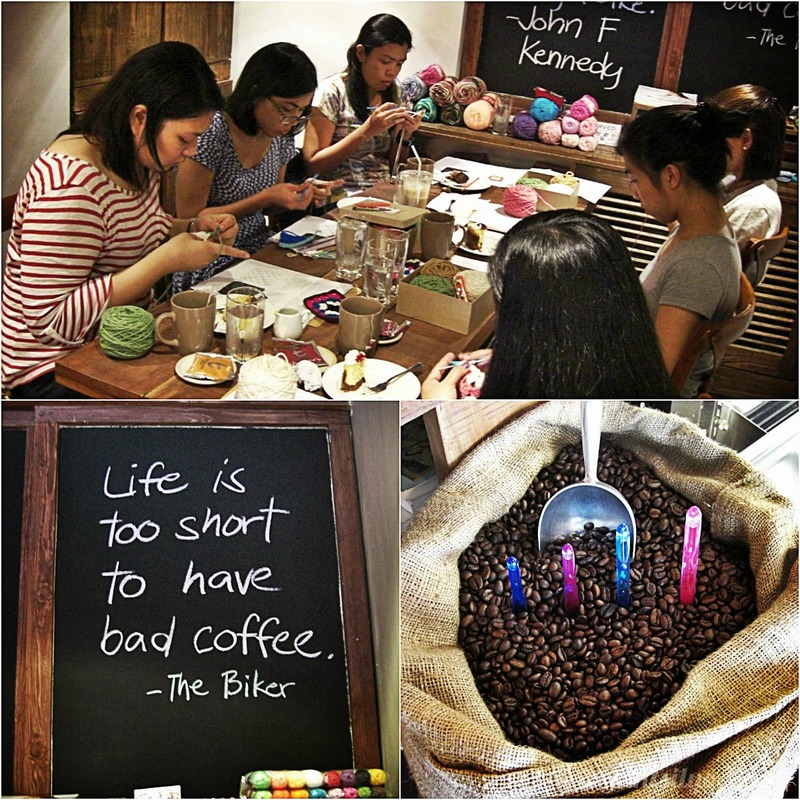 I've been wanting to hold a crochet workshop here because of the vibe of the place and of course, their coffee! 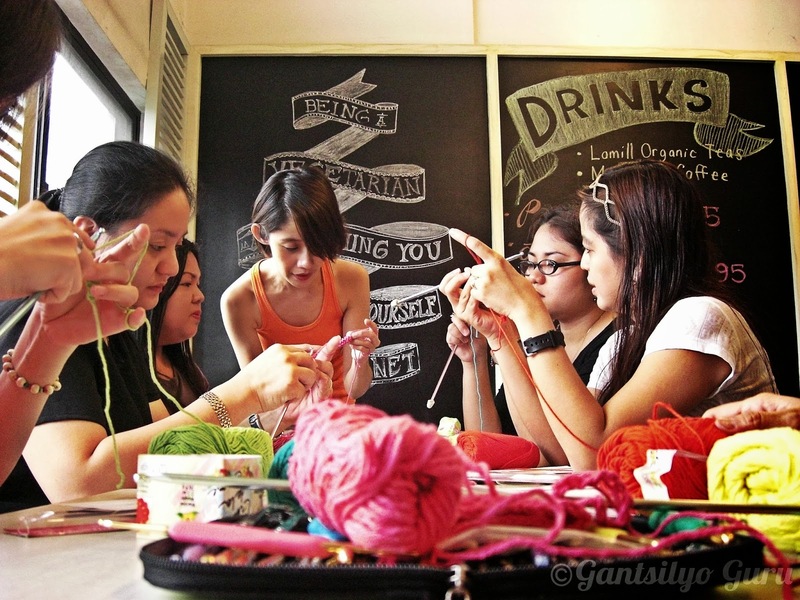 I love hanging out in cafes and crocheting. I'm grateful I get to combine both of these when I hold my workshops. 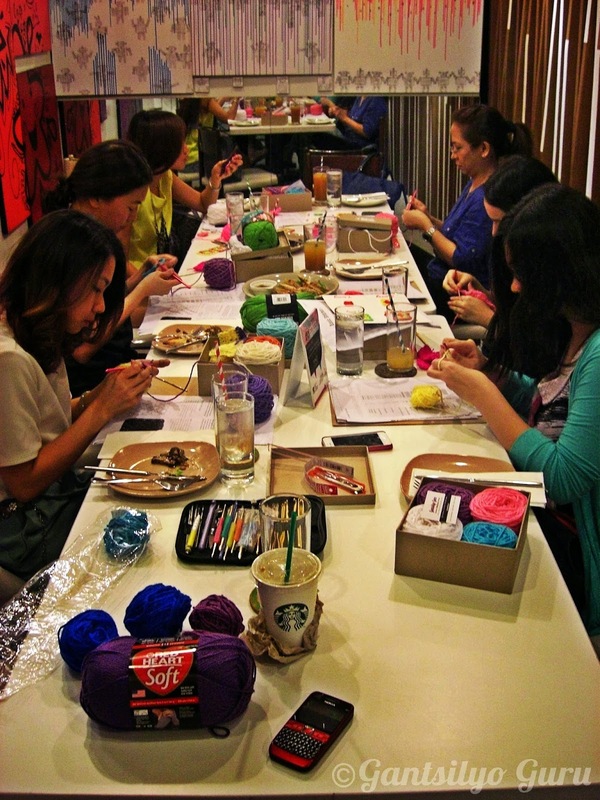 The participants enjoyed coffee and tea paired with pastries from Epic while crocheting. 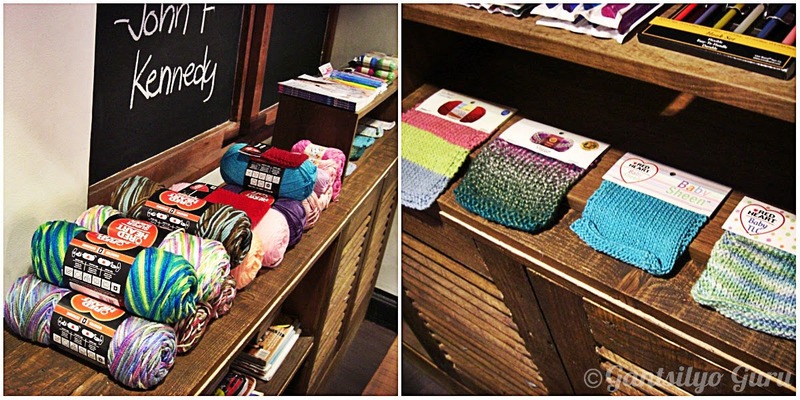 I also had some yarn and hooks on display at the workshop space. These ladies were fast learners! They even managed to crochet an additional motif after doing their granny squares! Here they are with their granny squares (pardon the lighting)! Here's to more Epic workshops! 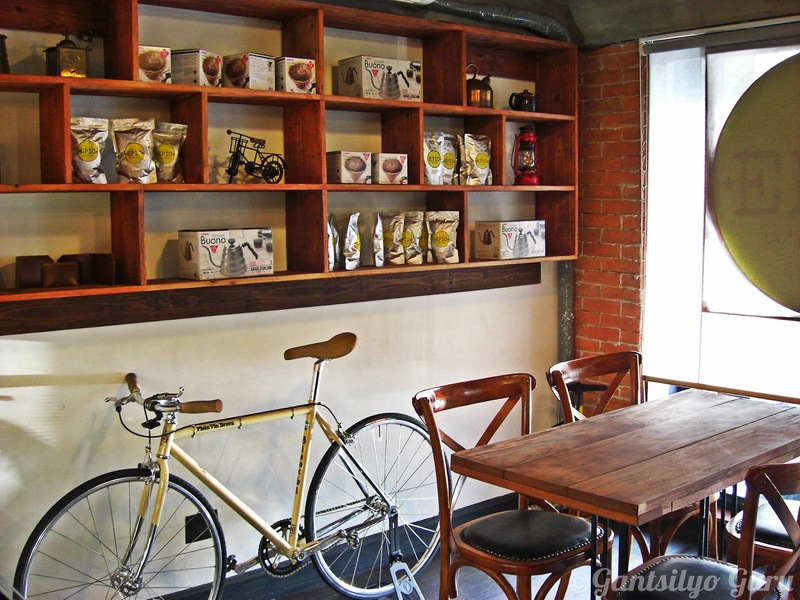 Epic Coffee Roastery is located in 102 East Capitol Drive, Bo. Kapitolyo, Pasig City. They are open Monday to Sunday from 8:00 AM to 10:00 PM. 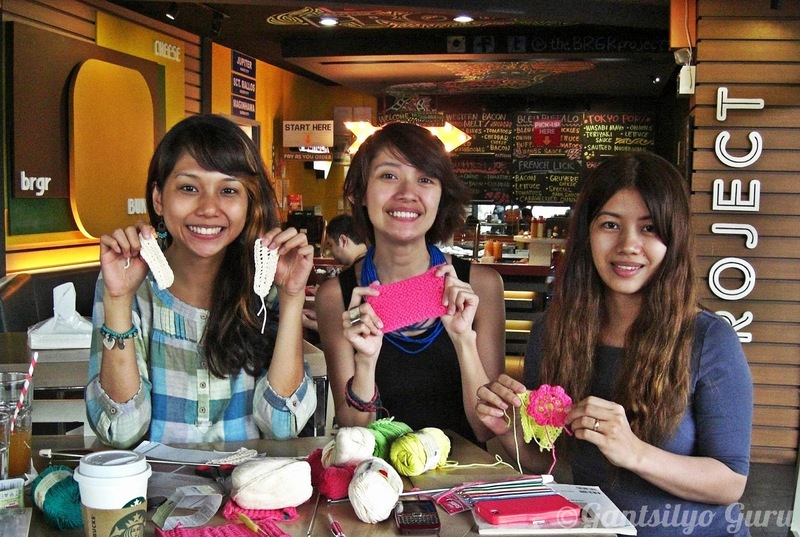 Want to learn how to crochet? Check out my summer schedule HERE. 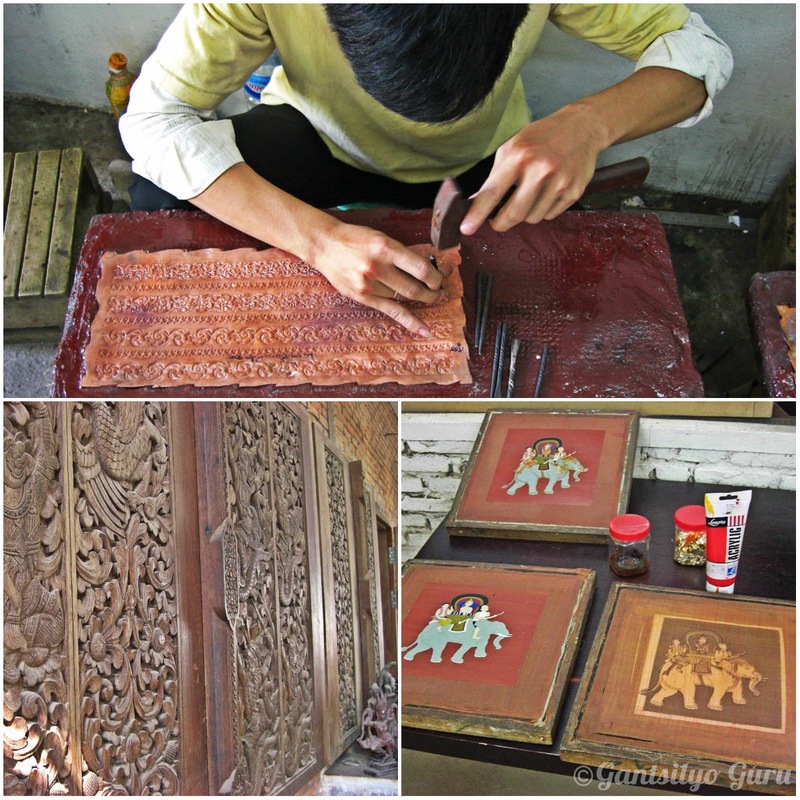 We got to visit the main center of Artisans Angkor on Stung Thmey Street, which is just a short walk from the Old Market. Artisans Angkor is a social enterprise aimed at providing job opportunities for Cambodians living especially in rural areas. They make expert craftsmen out of them. You will see how impeccable their skills are in stone and wood carving, silver plating, and silk painting. This sight welcomed us in the first room we visited. 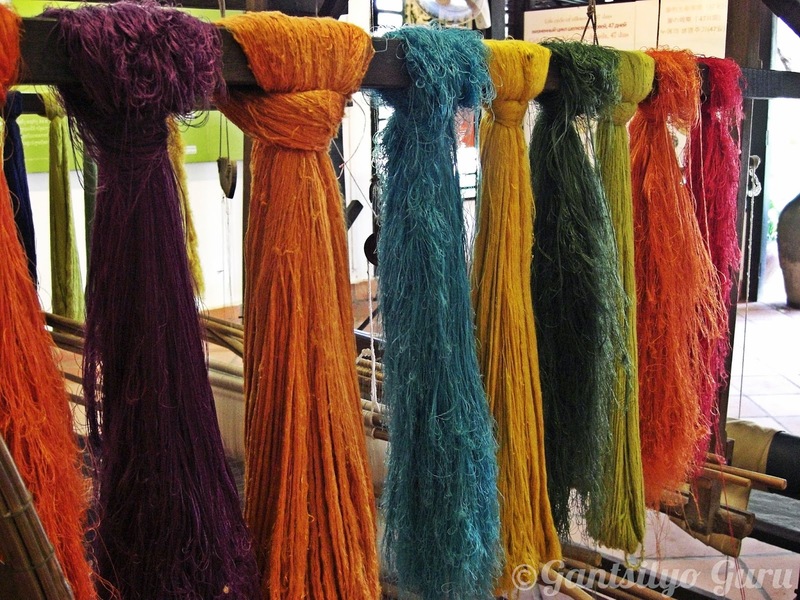 I almost dropped down to my knees at the sight of fine silk yarn colored with natural dyes. They also have a silk farm, by the way! We didn't go there anymore because it was hot and we didn't feel adventurous :p The silk farm is located in Puok district (around 20 minutes travel time from Siem Reap). Carving a little Buddha out of stone. 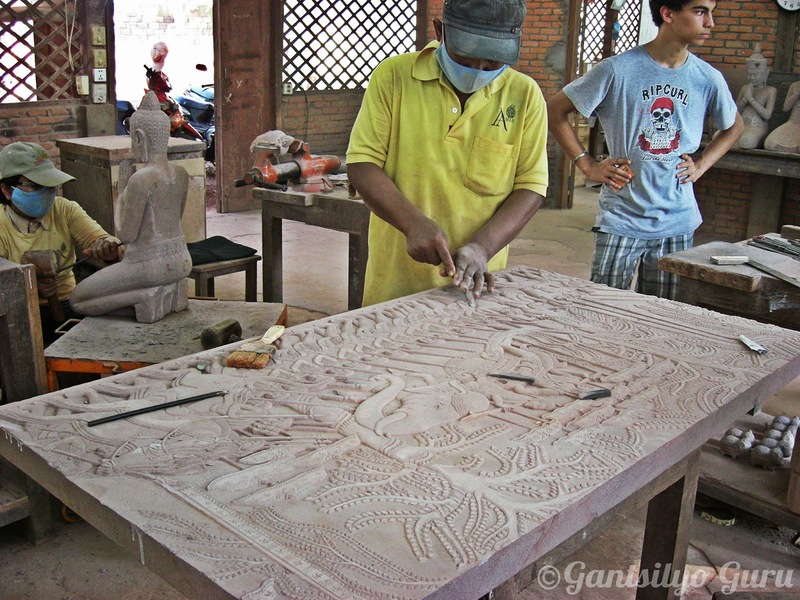 This huge stone carving took one month to make! Wow! Another artisan working on silver. See the wood panels on the bottom left? 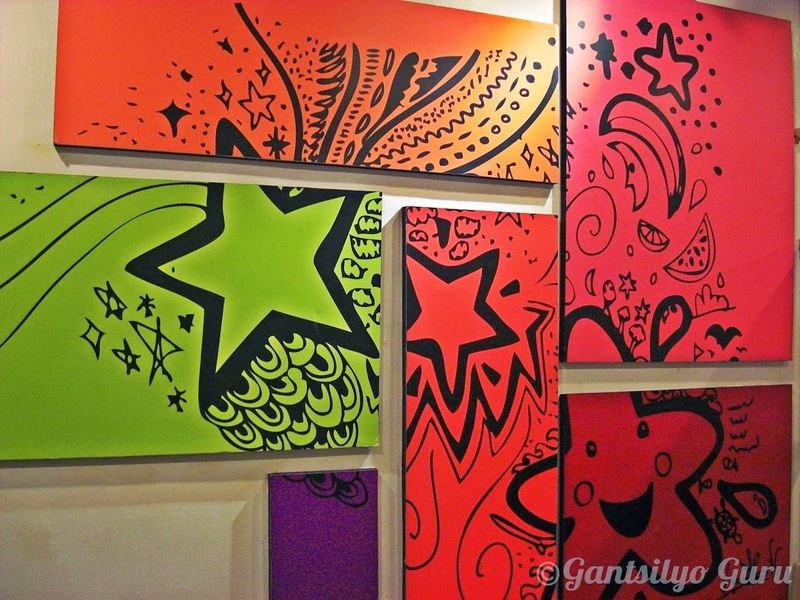 Each panel takes 2-3 months to carve! You can also see sample blocks of silk painting representing different stages of the process (bottom right). After our visit at Artisans Angkor, Erika and I hanged out at The Blue Pumpkin and got ourselves some refreshing shakes. I got their lemon mint shake. Super refreshing! I also love that it's not sweet. Yes, this is my mandatory crochet-fie. 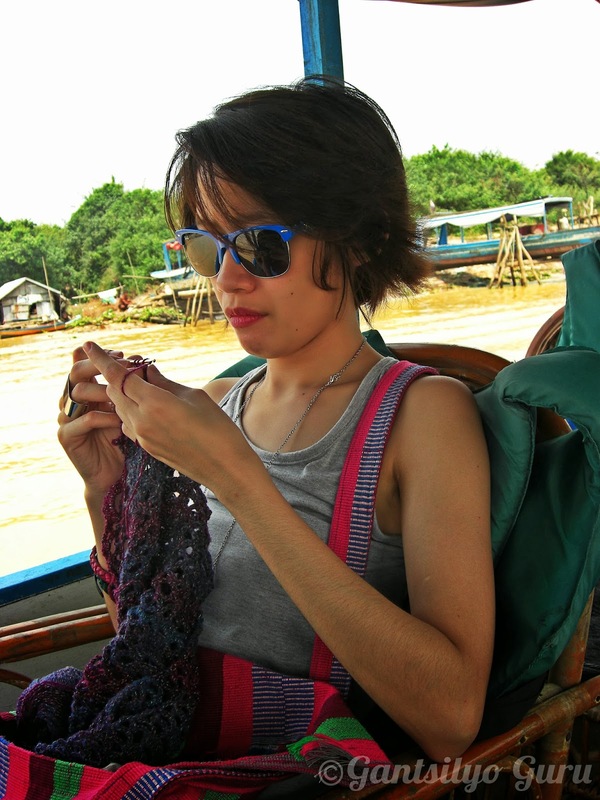 As mentioned in my first post on Siem Reap, I always had my crochet hook and yarn in my bag. 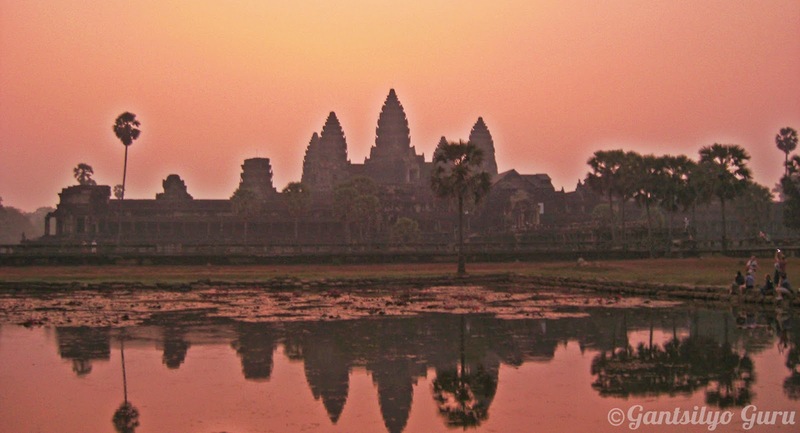 The last part of my Siem Reap Diary is our visit to the Angkor Wat (and other) temples! 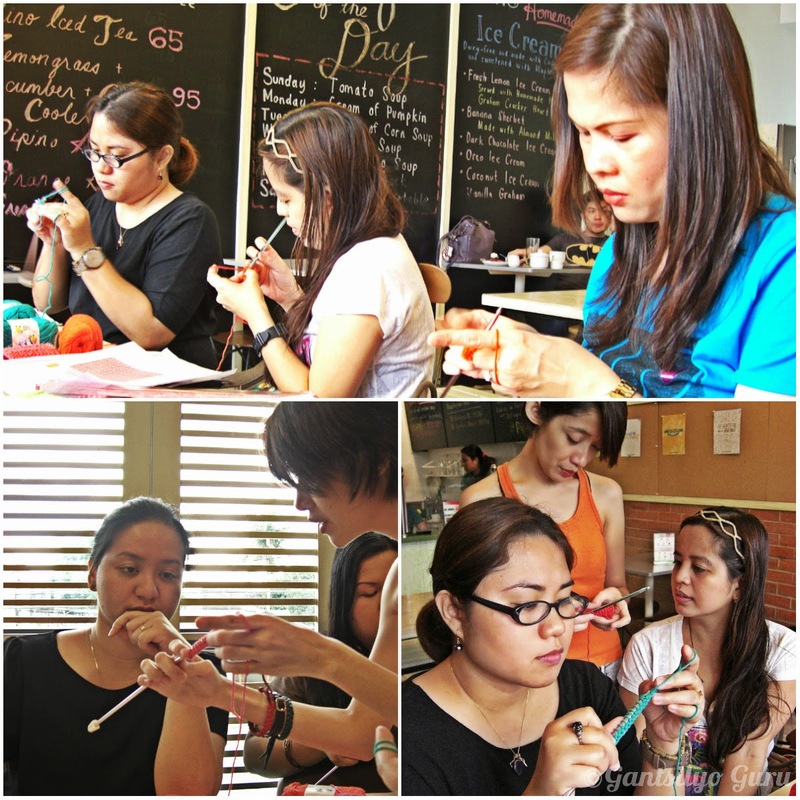 I conducted two sessions on Tunisian Crochet for beginners last Feb. 23 (Pipino) and Mar. 15 (The Burger Project). Here are some scenes from my Feb. 23 workshop. "Tunisian crochet, also known as Afghan crochet, is a type of crochet that uses an elongated hook, often with a stopper on the handle end, called an Afghan hook. It is sometimes considered to be a mixture of crocheting and knitting. 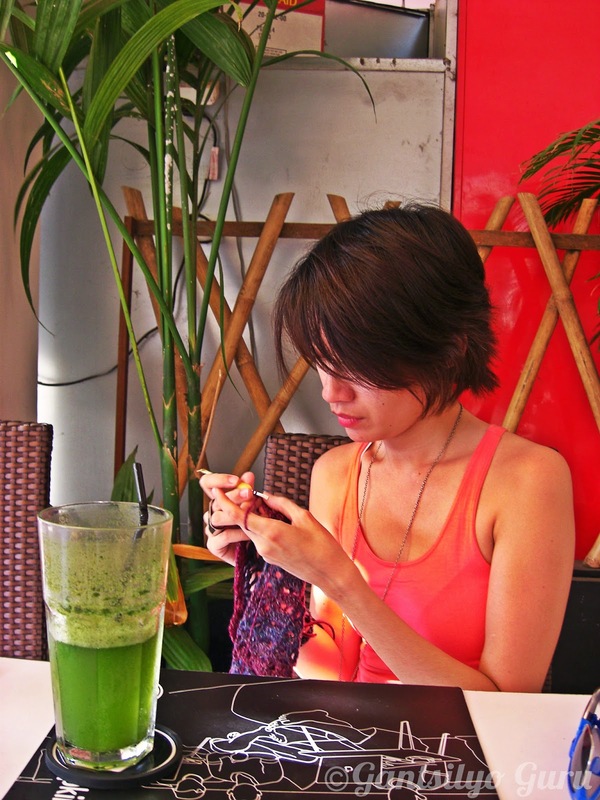 As such, some techniques used in knitting are also applicable in Tunisian crochet." 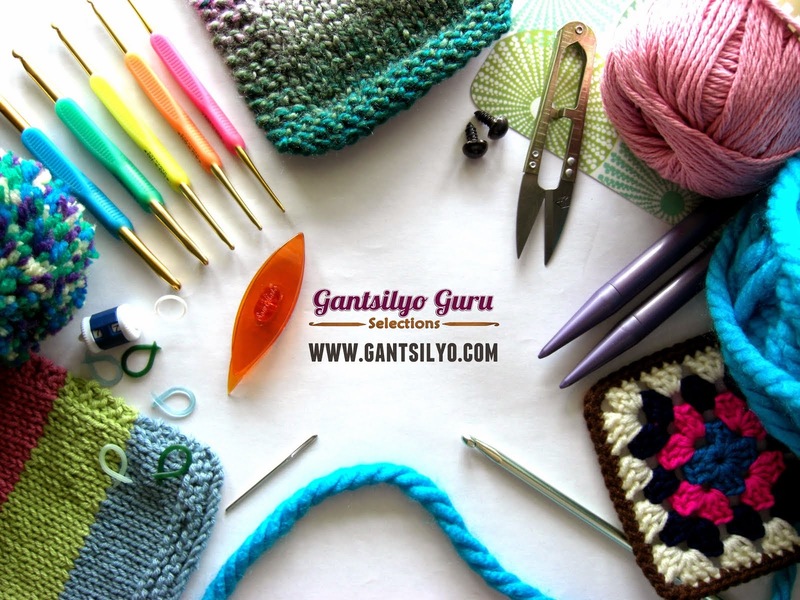 This workshop is an introduction to Tunisian Crochet. I only require that participants know how to make a chain before joining my workshop. Creme de la Creme yarn was used for their first Tunisian session (ever). It's 100% cotton. Susan Bates Afghan Hook 5.5mm was the tool of choice. 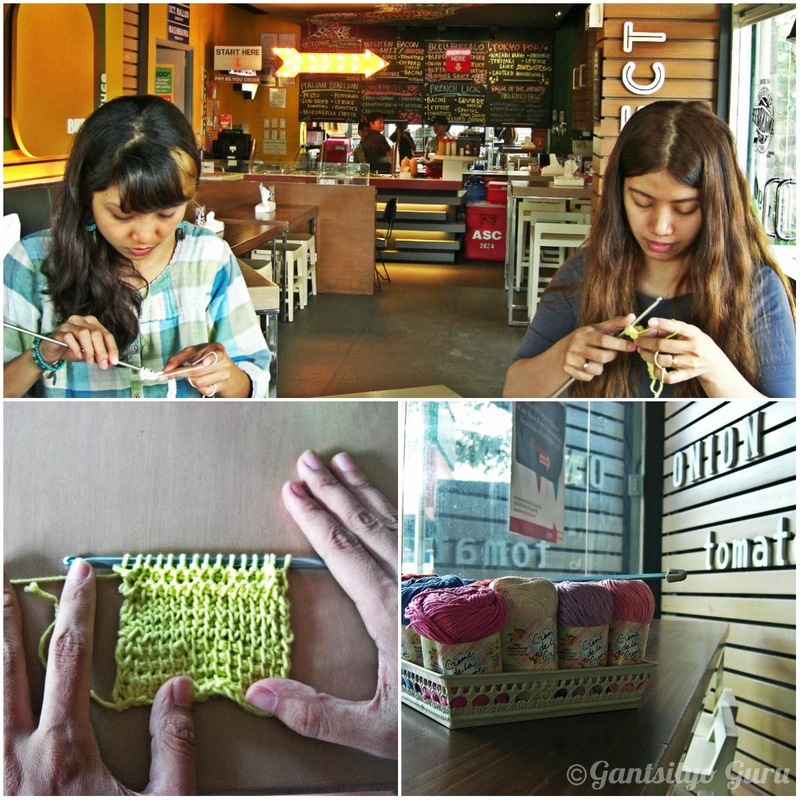 We learned 4 basic stitches of Tunisian Crochet. 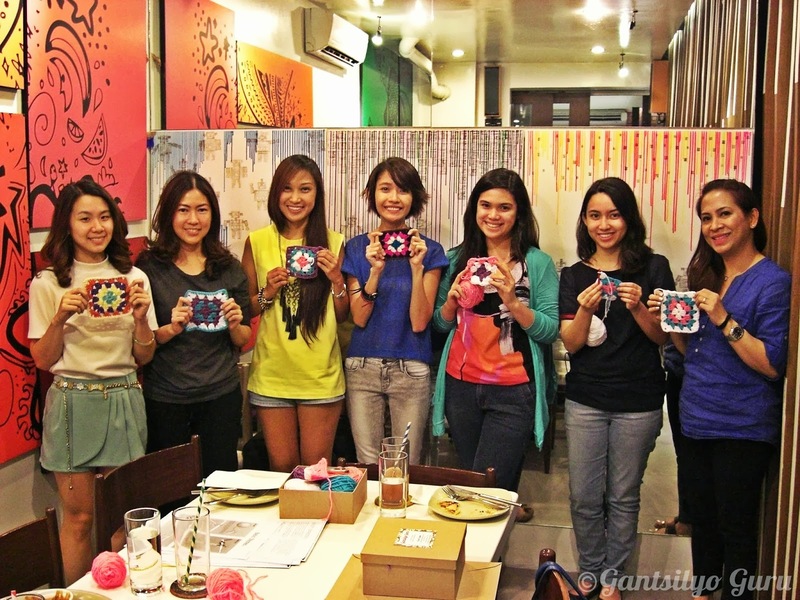 All 6 ladies (plus me) of the Feb. 23 batch! Our Mar. 15 session was an "intimate" one. 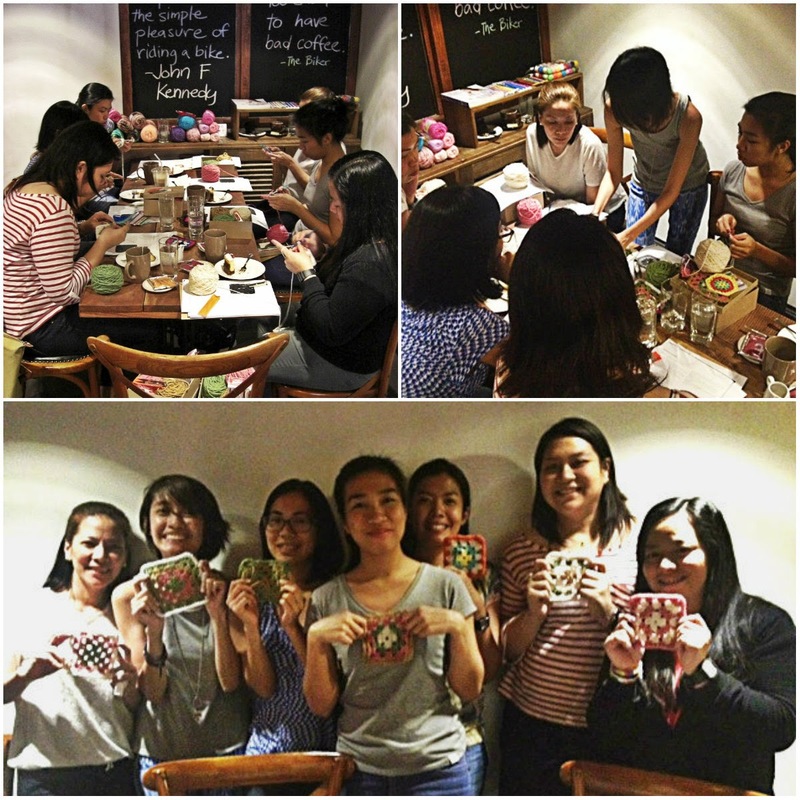 We had our little crochet corner at Brgr: The Burger Project. It's my first time holding a session in Brgr: The Burger Project. It's just beside Pino/Pipino along Jupiter St. in Makati City. We had their truffle fries and mozzarella sticks for snacks. And I didn't even take pics! Since they were just 2, I even managed to teach 1 participant how to make a simple flower. Happy "hooking," ladies! 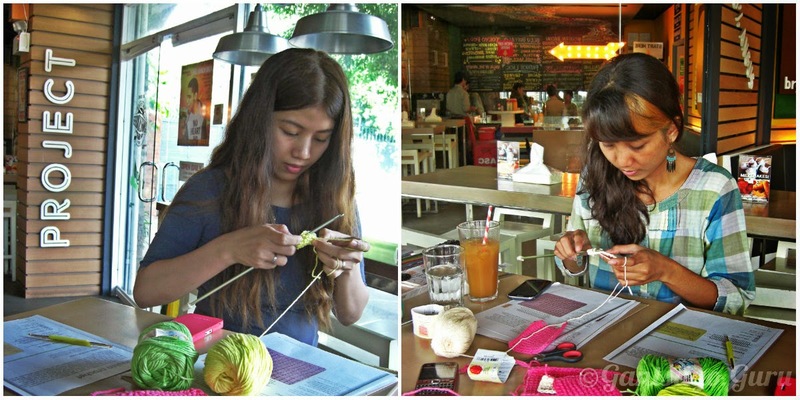 I opened two Tunisian Crochet workshop sessions for beginners this summer. 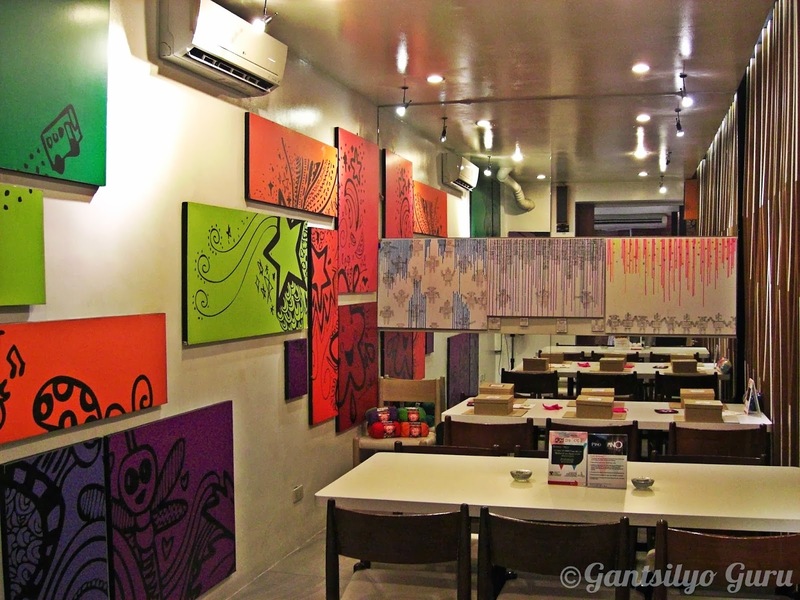 It will be on April 19, 2014 (Saturday) at GIGI Coffee & Cupcakes in Eastwood (Libis, Quezon City) and May 24, 2014 (Saturday) at PIPINO Jupiter (Makati City). If interested to join, please accomplish the form below. 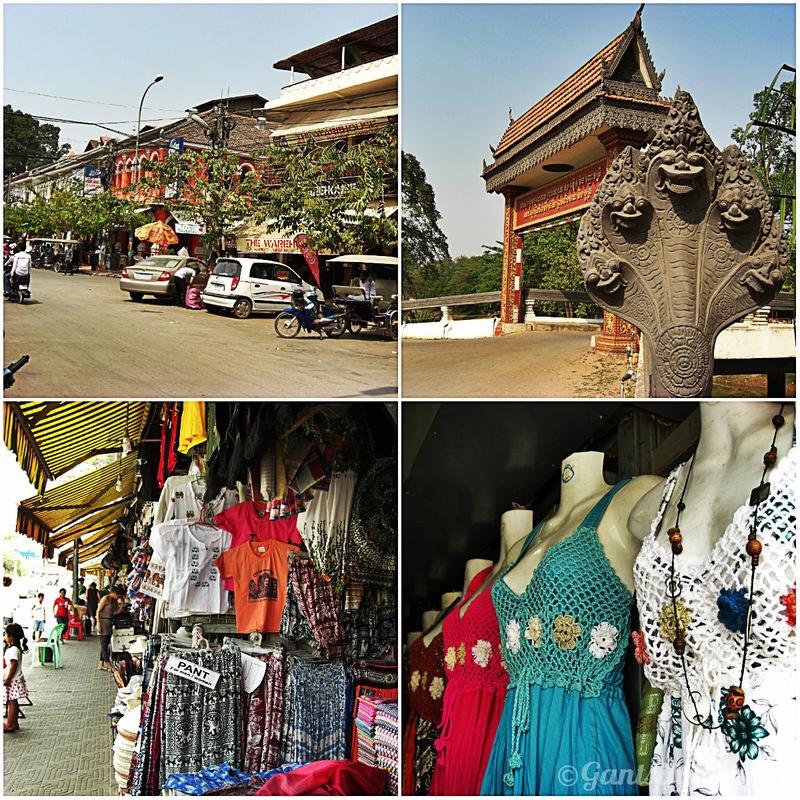 Siem Reap Diaries 1: Welcome To Siem Reap! One day, Erika and I decided to go to Cambodia. Our last trip together was back in 2006 or 2007 in Cebu. We didn't even take a single picture of that trip because we thought we were too cool for pictures. Yes, we regret that decision. We had no proof of the epicness of our experience. This time around though, we made sure we had pictures. Well, we didn't have much but we took just enough to document our experience. Just to let you know, we had no solid agenda or schedule up to the minute we boarded our plane for Siem Reap. We only knew we wanted to visit Angkor Wat and to watch the live airing of the Oscars while we were in Cambodia (because we believe the Oscars is an important life event). Sure, we got some ideas from the net but we wanted the spontaneity of the moment to take over our trip. 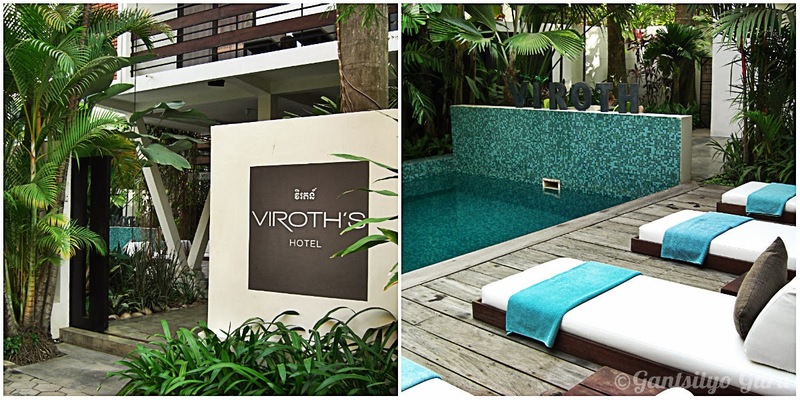 Our home in Siem Reap was Viroth's Hotel. It's a boutique hotel with only 7 rooms! Very quaint indeed. It's quite near the Old French Quarter, so we only walked if we wanted to go to the Old Market or Pub Street. This is where we had our breakfast. 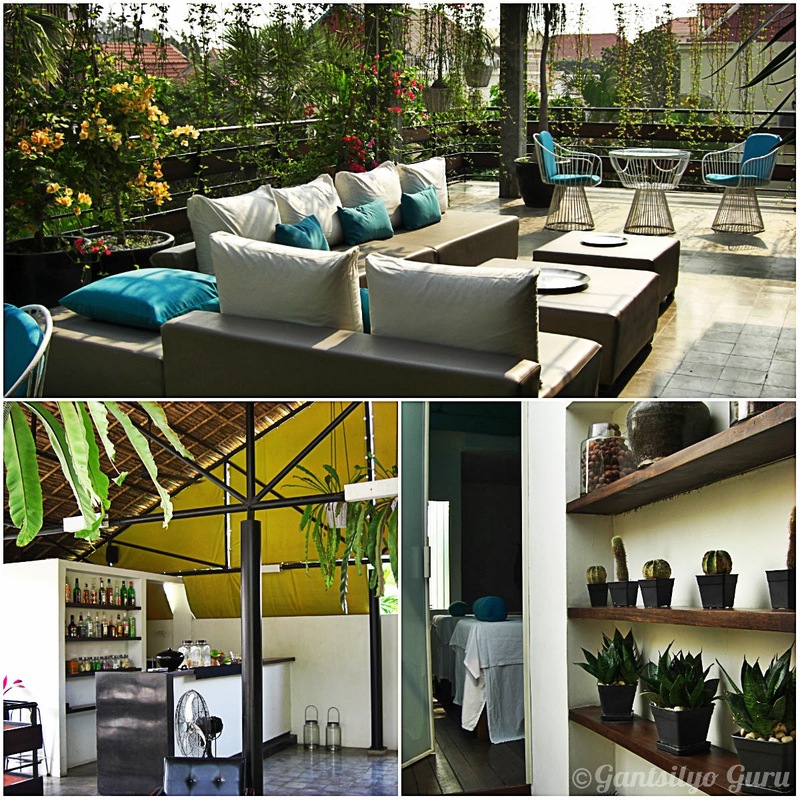 This is the roof deck of the hotel and it also serves as its lounge area. Lounge-y indeed! 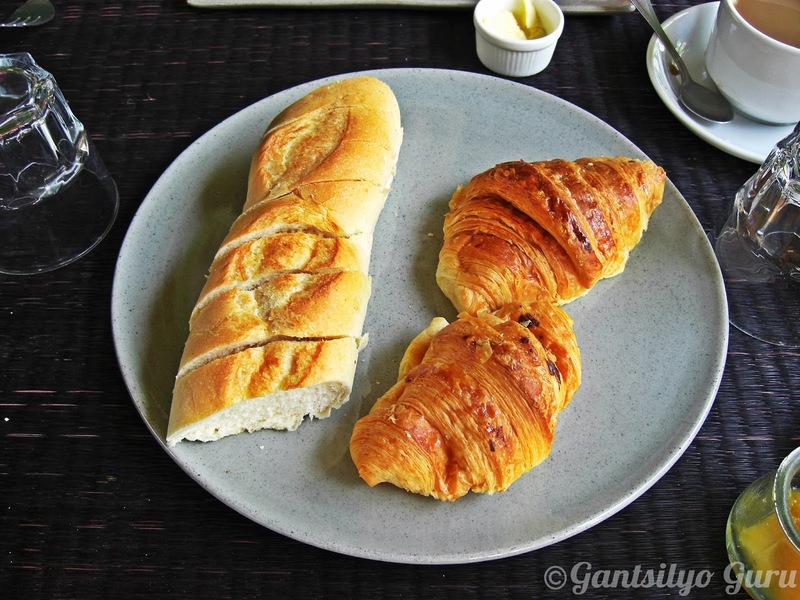 Our breakfasts in Siem Reap always had baguettes and croissants. Yum! Their baguettes were so yummy that Erika brought 12 pieces with her on the plane ride back to Manila (yes, it's possible). It's quite obvious that the French had a big influence in this country. We asked the hotel manager what else we can visit in Siem Reap apart from Angkor Wat. He told us we can visit the Chong Kneas floating village in Tonle Sap lake, which is the largest freshwater lake in Southeast Asia. It sounded interesting so we got into a tuktuk and a boat and headed over there. This is me and Erika at the beginning of the boat ride. We really had no idea what we're going to see, but we noticed there were several boats with tourists so we assumed it was a "tourist destination." I didn't want to miss this opportunity to try to crochet on a boat! I just wanted to show how convenient crochet is. I had my yarn and hook inside my travel bag the entire time! 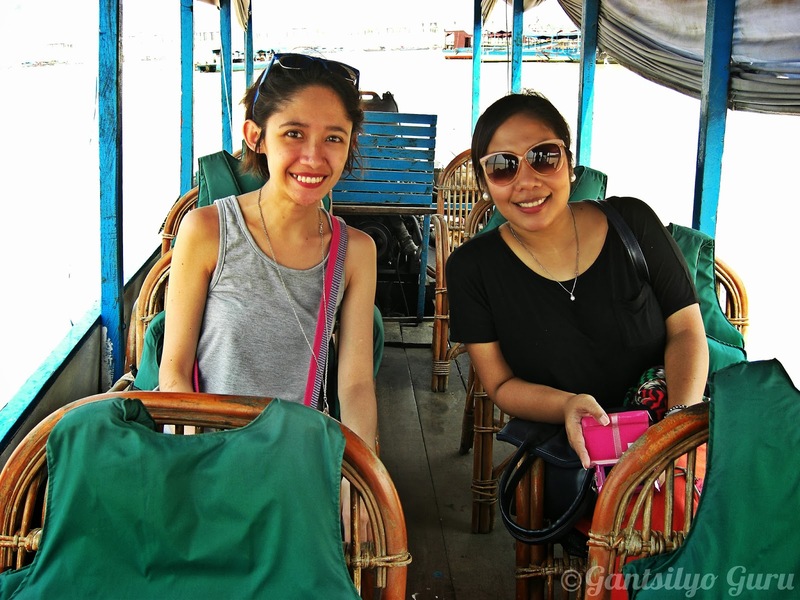 Erika and I had mixed feelings about our experience at the floating village. We felt a bit guilty being "tourists" in the area and we chose not to take so much touristy pictures. 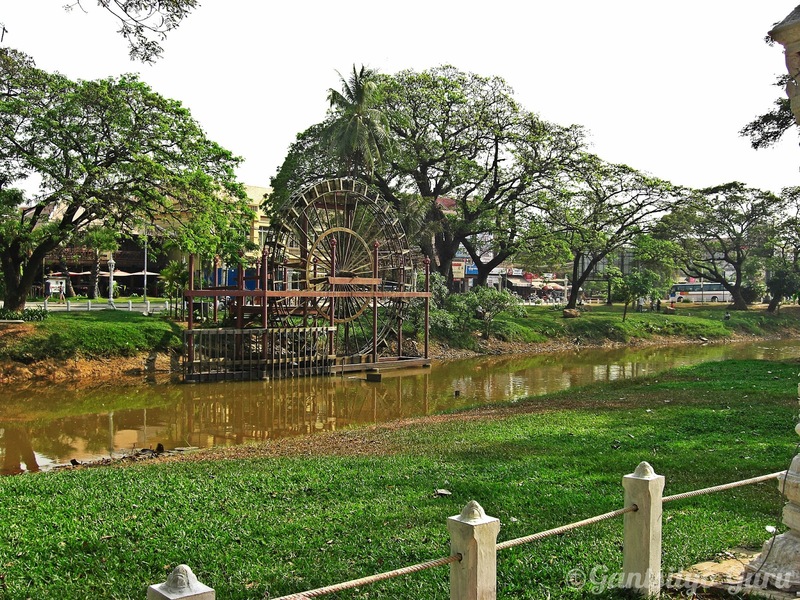 To give you a better idea of this village from an account of a fellow tourist, check out this blog entry by Jollice Tan. We returned to the city in the afternoon and explored the shops and the area of the Old French Quarter. Check out the crocheted clothes being sold in the market! I wasn't sure if they were made of cotton or acrylic yarn (or maybe a hybrid of both). Below is a view of the Siem Reap River adjacent to the commercial areas where most tourists are. The river's pretty shallow because of the dry season. 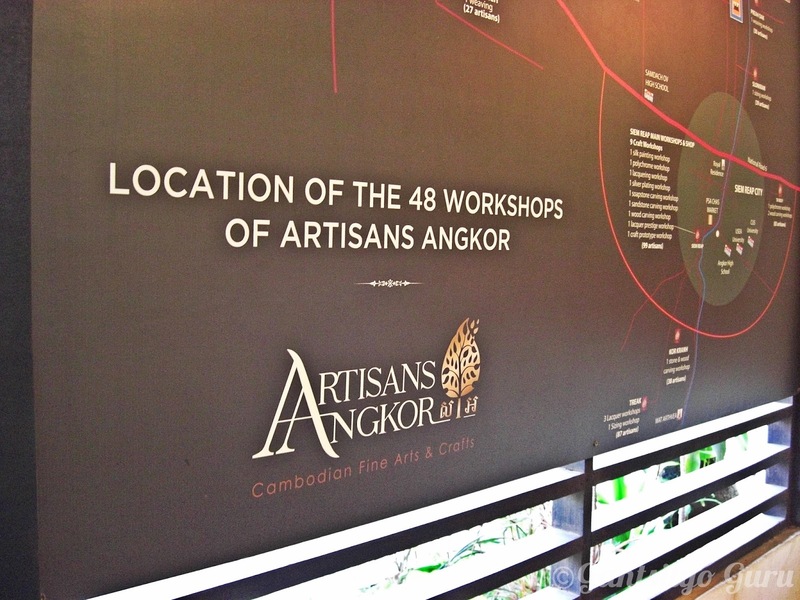 Watch out for another blog entry on our visit to one of the workshop areas of Artisans Angkor! 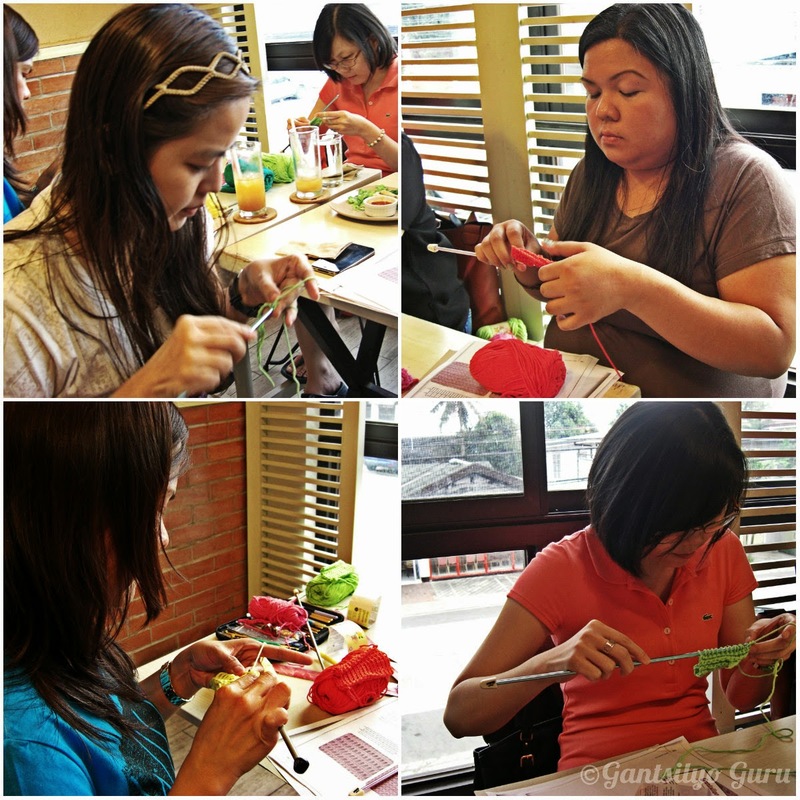 It was a full house of ladies last February 15 in my Basic Crochet Workshop in Pipino Jupiter. 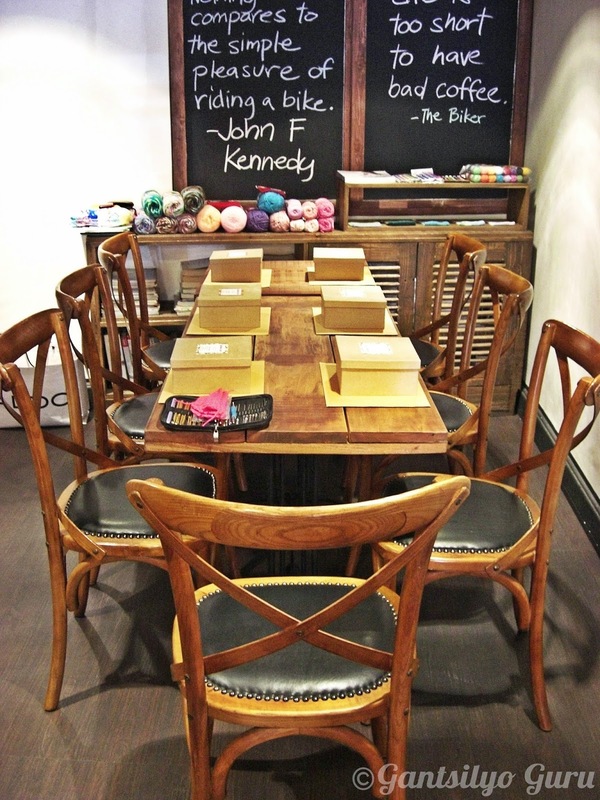 It was my first time holding a workshop inside this colorful nook inside Pino and Pipino in Makati. Colorful, indeed! 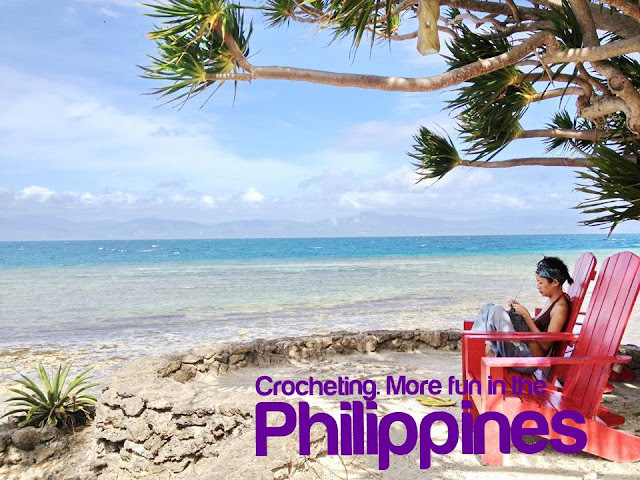 What an inspiring setting for an afternoon of crochet. I rarely sit down during my workshops because I go around and guide each participant. 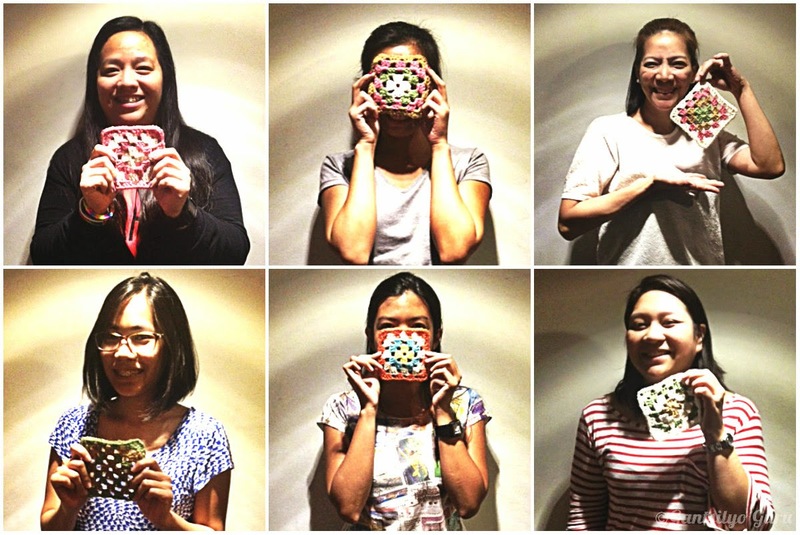 Here are the new "hookers" with their first granny squares!